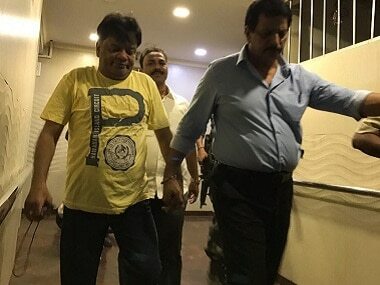 Mumbai: When a Thane Police team carried out a raid at the residence of Iqbal Kaskar, the younger brother of Dawood Ibrahim, at Nagpada in Mumbai Monday night, he was eating biryani and watching a reality TV show. The unexpected presence of sleuths stunned Kaskar, as he asked them "Maine kya kiya hai?" (what have I done). However, the police team gave him time to let him finish the meal before taking him into their custody in connection with an extortion case against him. "It was around 9.15 pm when Thane Police's quick response team (QRT), equipped with highly sophisticated weapons, raided the residence of Haseena Parkar (Dawood's late sister) at Gordon Hall Apartments on Sophia Zuber Road in Nagpada in central Mumbai," an official said. "Iqbal Kaskar was having biryani and watching "Kaun Banega Crorepati" on television. He was stunned by the surprise raid and asked the police 'Maine kya kiya hain'," he added. According to the officials, the sleuths gave him time to finish his dinner and then took him into the custody along with three others who were present inside the room. "Kaskar was taken into private vehicles, which swiftly left the area, before giving a chance to anyone to guess what has exactly happened. It was only during the journey of 30 to 34 odd kms (to Thane), that Iqbal got to know the reason of the action against him," the official said. Kaskar and his aides were arrested for running an extortion racket against builders, land owners, businessmen as well as jewellers, he said. When Senior Police Inspector Pradeep Sharma, Assistant Commissoner of Police Nivrutti Kadam, Senior Police Inspector Devidas Ghevare, Rajkumar Kothmire and other team members knocked at the door of Kaskar's flat, someone else opened it. However, when Kaskar spotted Pradeep Sharma and the team, he was shocked. There was no chance for him to run or seek anyone's help, the official said. "Kaskar was rendered helpless. Along with him, his sister Haseena's brother-in-law Iqbal Parkar, alleged drug dealer Mohammad Yasin Khwaja and one transporter Fernando were taken into the custody. The police had arrived at the place in private vehicles to hide their identity. The vehicles were kept ready at the entrance of the building and within a few minutes the vehicles were on their way to Thane," another official, who was involved in a raid told PTI. 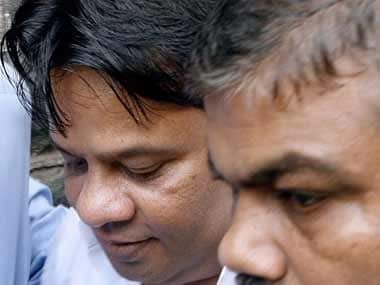 Kaskar, who is said to be looking after Dawood Ibrahim's real estate empire in Mumbai, was very active in extortion racket with the help of some builders, local political party leaders in Mumbai, Navi Mumbai and Thane area, he said. DCP Abhishek Trimukhe was monitoring the entire operation from Thane Police Commissionerate. Police are also verifying if Kaskar was also running a narcotic drug supply racket as a notorious drug peddler was present there during the raid. "As some threat calls were made to builders from abroad, police also also investigating hawala links. They are taking help of Enforcement Directorate in this case," he said.